Ryan, Aunt Karen, Lindsey, Uncle John and Jacob. 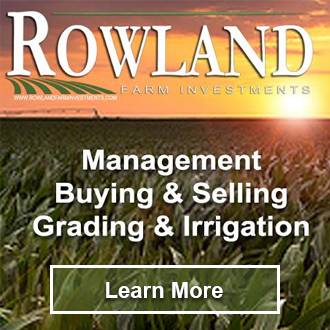 Robinson – I am so fortunate to have some wonderful uncles and aunts. 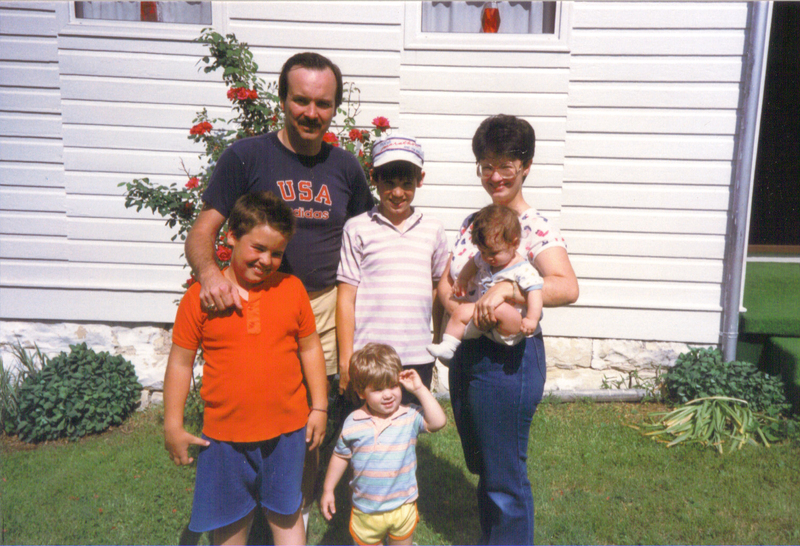 As a very small boy, I hung out with Uncle John (Dad’s brother) a lot. He is about thirteen years older than me, so when he was a teenager he took me sledding, hunting and frog gigging. Uncle John is a genuine country boy. He’s handy, an expert welder and can fix anything. He worked at the railroad shop like Grandpa Lewis and ran an electrician business in his “free” time. He married Aunt Karen and they had three kids, Jacob, Ryan and Lindsey. 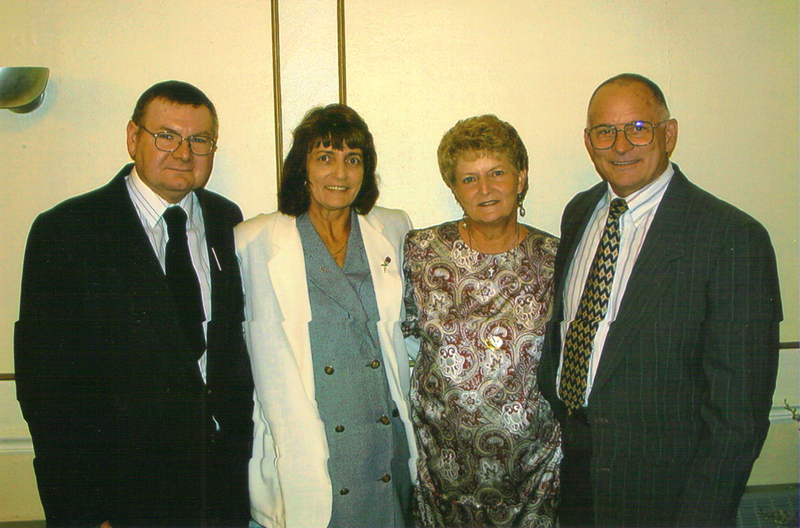 Behlmann – Aunt Joan (Dad’s sister) and Uncle Tom had two kids, Ed and Lea. Ed was just a few years older than me and we did a lot together at family gatherings, but the Jetton’s didn’t get together as much as the Lewis’s. Usually our reunions centered on Grandma Jetton’s birthday. Aunt Joan is a hoot, and Uncle Tom will joke around just as much. 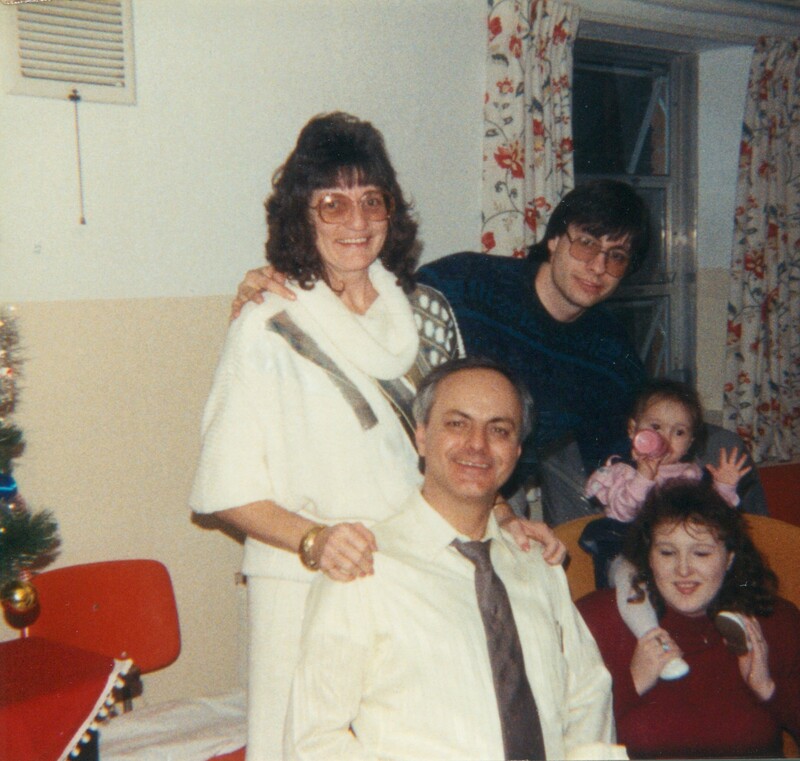 Aunt Joan was a professional secretary, and Uncle Tom worked in construction, building houses. Ed joined the Navy after high school. 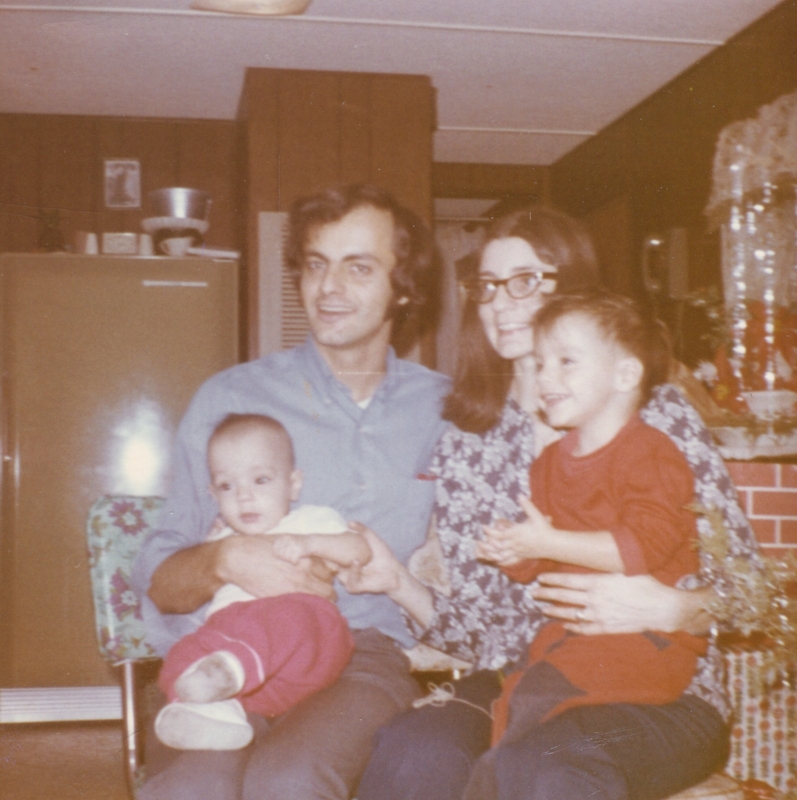 Doug, Uncle Larry, Aunt Mary Lou, Ross – Neil was not born yet. 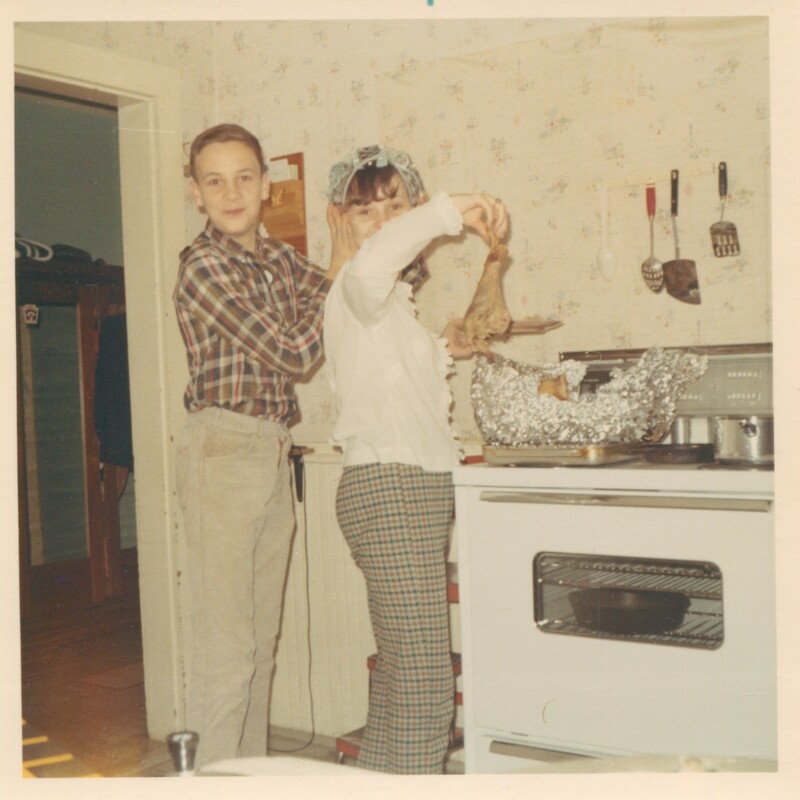 Blanford – Aunt Mary Lou (Dad’s sister) and Uncle Larry are completely nuts. I used to have so much fun going to see them. Uncle Larry had a pet raccoon when I was little, and he was a huge jokester. (Uncle Larry, not the raccoon.) He had several big bass hanging on his walls, but I never got to go fishing with him. He traveled a lot, selling tools and was a good salesman. He and Aunt Mary Lou had three boys, Ross, Doug and Neal. They are all just like their parents—friendly, generous and fun. 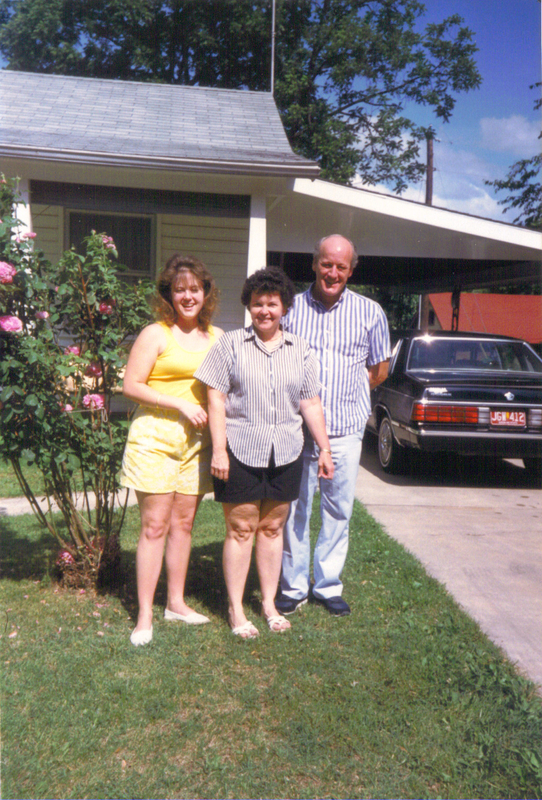 I can’t really describe how funny Uncle Larry and Aunt Mary Lou were. The best way to describe them is to say that they are a lot like Lottie’s husband, your Uncle Josh, and you know how crazy he is! Kennedy – I used to stay at Aunt Phyllis (Mom’s sister) and Uncle Sonny’s a lot when I was in DeSoto. I played a lot with my cousins Jeff and Sherri. Jeff was a good football player and I wanted to be like him when I got older. Uncle Sonny worked at Chrysler and was a butcher in his spare time. Aunt Phyllis drove the Oats bus. I thought they were kin to President Kennedy since that was their last name. I had a lot of fun at Aunt Phyllis’s playing with Jeff and Sherri. Jeff joined the Air force after high school. 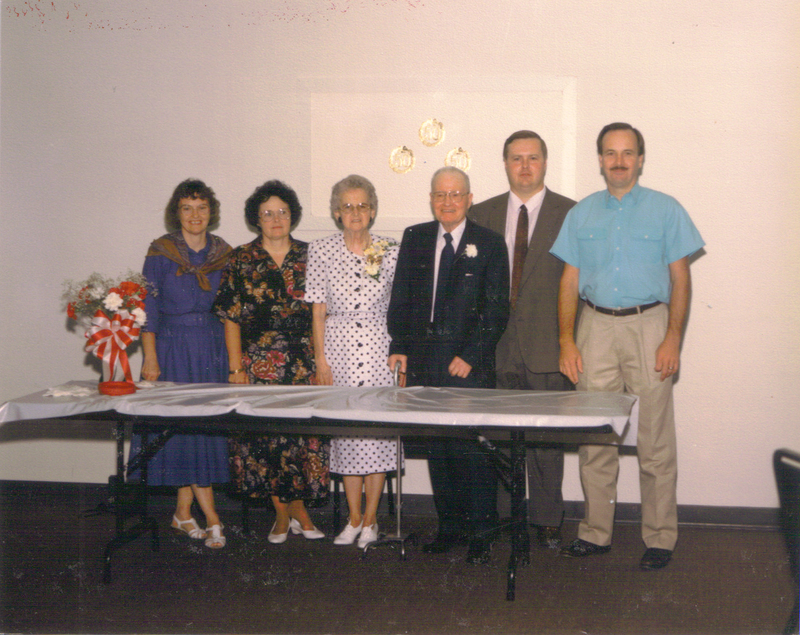 Lewis – Uncle Greg (Mom’s brother) married Brother Elmore’s daughter, Beth. Uncle Greg was tall and smart. He was the first kid in the Lewis family to get a college degree. Grandpa Lewis said he got Uncle Greg a tough job one summer lifting heavy loads out of a big hole. Evidently Uncle Greg didn’t like it that much and Grandpa told him the only way to avoid that type of job was to go to college. Uncle Greg took the advice and graduated with an accounting degree. He and Aunt Beth had four kids Benjie, Josh, Kit, and Katie. 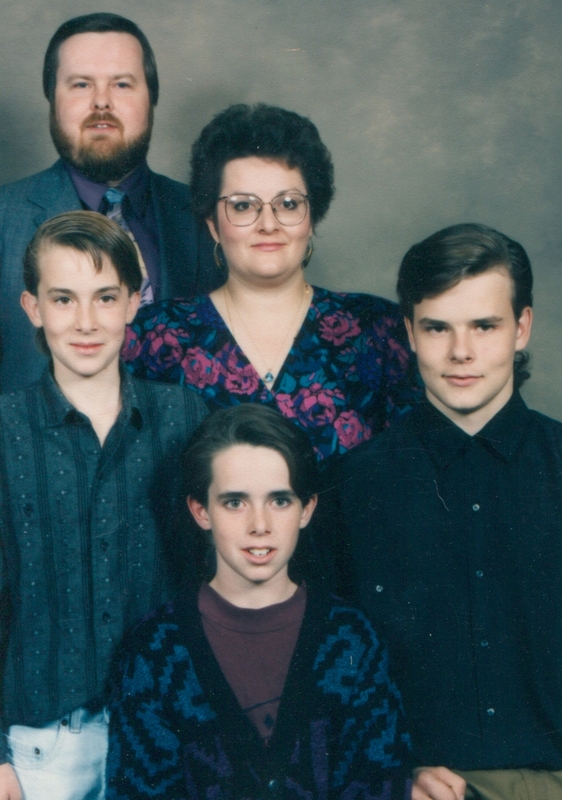 I always wanted to be tall and hoped I would take after Uncle Greg in that regard. Lewis – Uncle Gary (Mom’s brother) was a hoot. I have always thought I took after him. He could talk a mile a minute and he would discuss (and argue about) anything and every-thing, just like me. The rumors were that he was really wild in high school and got into trouble just like me. But he was so much fun to be around. He was always willing to play games at Grandma’s and he sent me some great presents growing up. 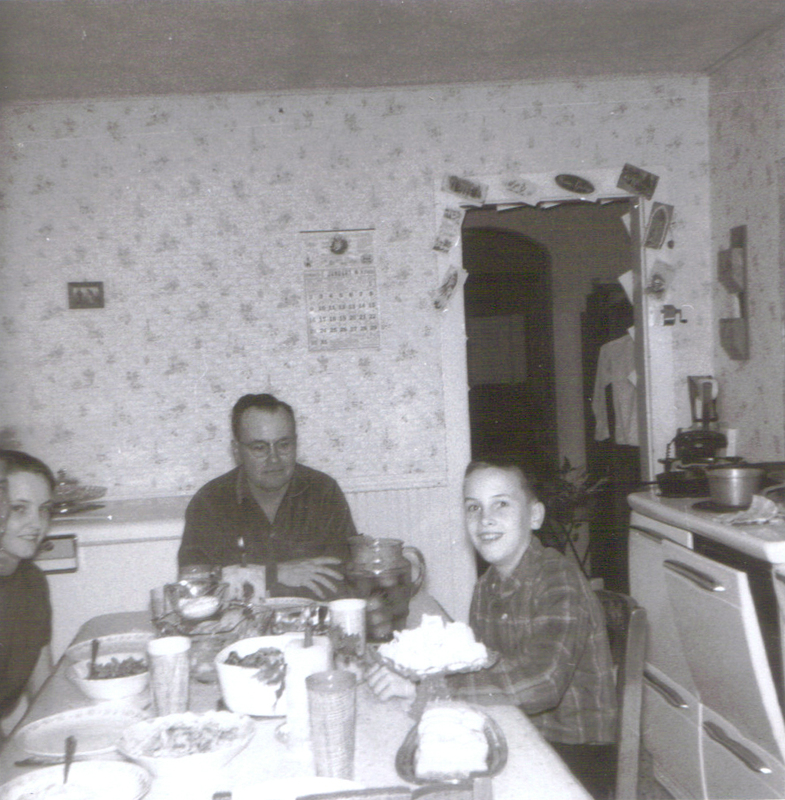 I loved to listen to Uncle Gary talk with Dad and Uncle Greg around the kitchen table at Grandma Lewis’s. He married Aunt Cherie and became a preacher. Unfortunately, Aunt Cheri passed away. They had three kids—Andy, Jesse and Nathan. 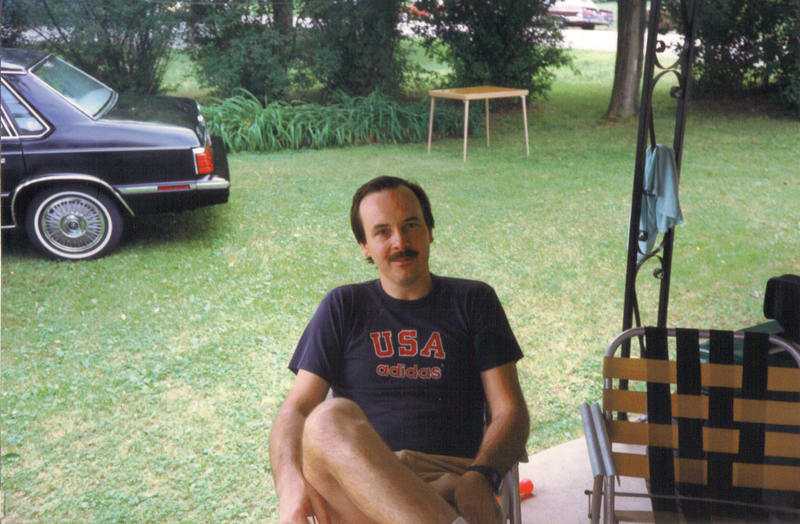 Uncle Greg relaxing on the carport- I think this was the year he went running with me. 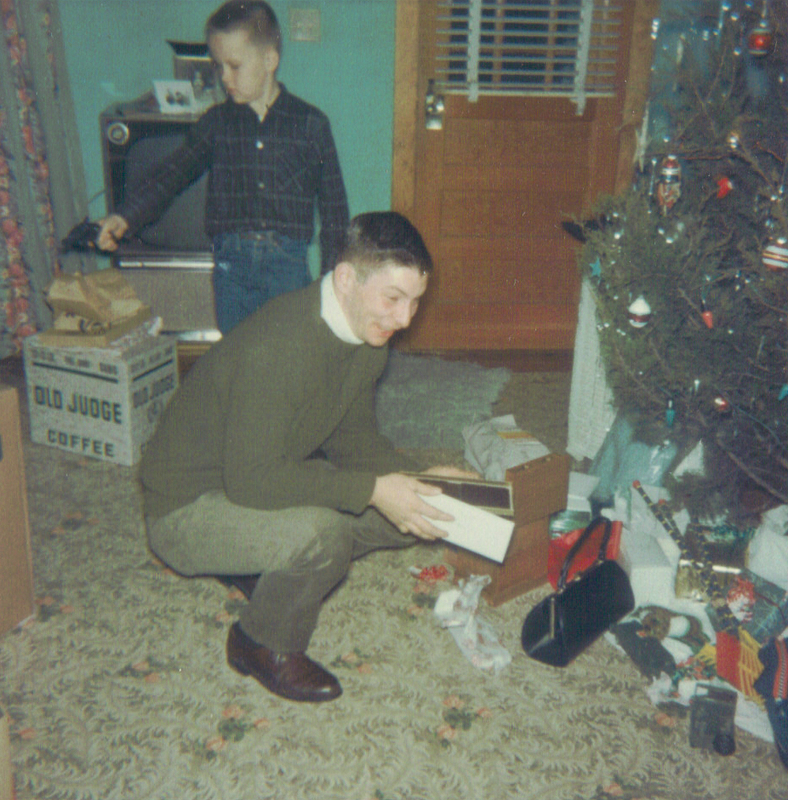 Dad looking under Grandpa Lewis’s Christmas tree with Uncle Gary in the background. Uncle Greg and Mom in Grandma Lewis’s kitchen. 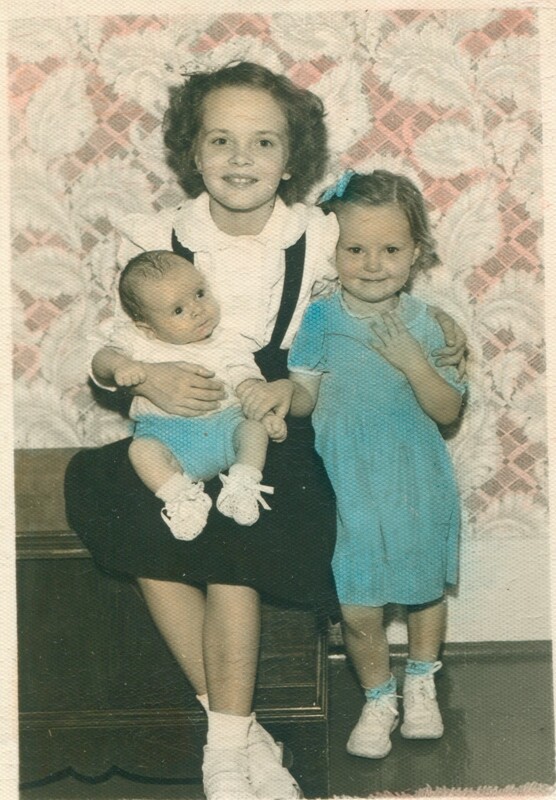 I think this is Uncle Greg, Aunt Phyllis, and Mom. 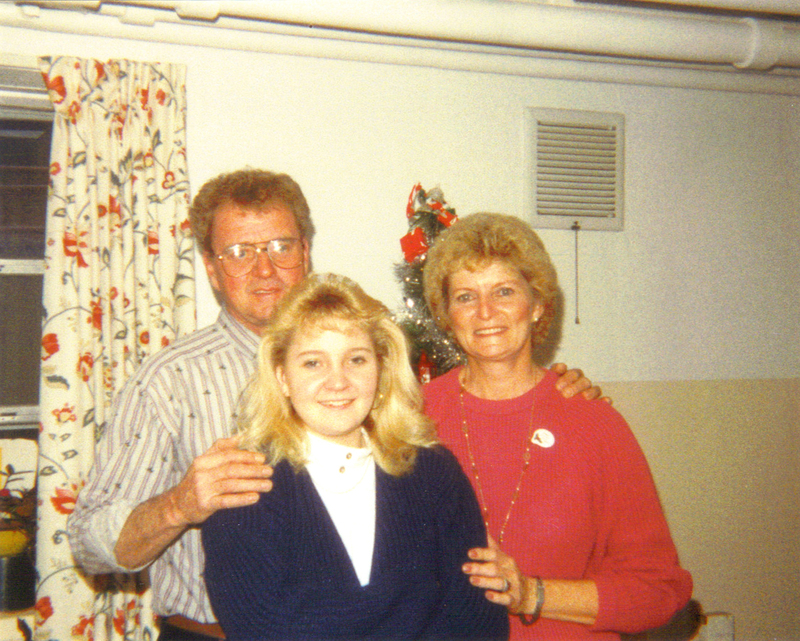 Aunt Mary Lou, Uncle Larry, Ross his daughter and wife Kimberly.